Yet, commercial toothpaste can be quite expensive and are full of toxic chemicals which endanger our overall health. 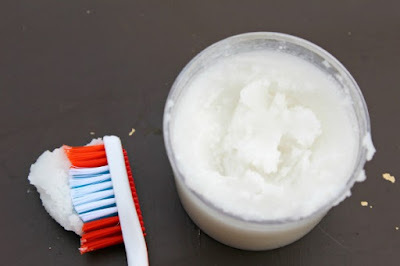 On the other hand, today we will present you homemade toothpaste that will help you healthy and white smile. The tree that grows in tropical areas known as neem is the main ingredient in this paste. The developing countries has been used this tree as a substitute for toothbrush for centuries. By breaking it down into twigs and chewing them you will fight cavities, gum diseases and support oral health. This extremely powerful toothpaste contains antibacterial ingredients such as xylitol, coconut oil and baking soda, but no fluoride. Place all the ingredients in a container, mix well, store the resulting mixture into jar and keep it at a room temperature. Due to the presence of coconut oil, it can harden. You can also add a tbsp of xylitol if you want a better taste. There are numerous health benefits of this natural toothpaste. You will no longer worry about the adverse effects of the chemicals, whiten and make your teeth healthy like never before!